Meet Paddy Cunningham - Cybex's new Ambassador. So, I find myself sitting here thinking about what on earth do you put into a Blog. I’ve never really done the whole blogging thing before, so I feel a little excited, a little bit scared but most of all a little bit proud at the fact I am doing it in the capacity of Ambassador for Cybex International. I guess I should maybe start off and tell you a little about myself. My name is Paddy Cunningham, I am 29 and I come from a little rural area in the North West of Ireland called Co. Sligo. I have always been overweight, since a young child I always was the chubby kid, the one who never really got involved with sports, and who always avoided having to do Physical Education class in school. Throughout my life it’s fair to say I was leading what I can now call a double life. One life was the one which everybody saw day to day, of this rather chubby but yet extremely cheerful young guy who spent most of his time, laughing, smiling or trying to make other people laugh & smile. The second life was the one that only I would see, or on a very rare occasion some of my best friends might get a quick glimpse of. 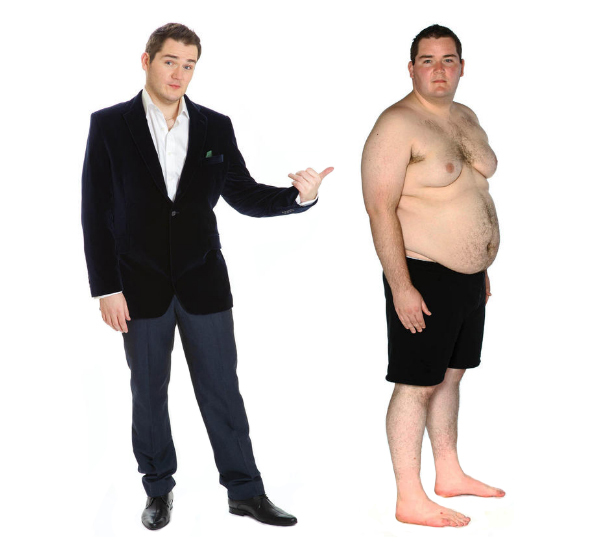 This was a guy who suffered from a chronic lack of real confidence, who was so unhappy with how he looked and how life was for him that he turned to food for comfort and who felt so uncomfortable and inferior around people that it impacted his social life so much. This was especially true in my early twenties, when I should have been having the time of my life. Up until the age of 23 I had almost one stone in weight for every year of my life, after this I simply avoided the scales as it got me more and more down about myself when I saw the figures going up and up. In 2010 aged 28, I decided enough was enough; it was time to change my life and do it before hitting 30. Along with my housemate at the time, Wil, we applied for the TV show The Biggest Loser. The show absolutely changed my life, and I will touch on it in future blogs, for now though a quick summary is that in 21 weeks I lost over 31% of my body weight and came runner up on the show. Now I find myself thinking about the next stage for the new and improved Paddy! The Paddy who no longer has a double life, just one genuinely happy and confident life. I’m currently studying to become a qualified Personal Trainer & Advanced Fitness Instructor, I have my gym membership and I now have my Cybex Arc Trainer at home, which will provide undeniable support to me in reaching and maintaining my fitness targets. For next month’s blog I will be sharing what my specific goals will be for the next 12 months so that you can follow me along the next part of my journey. Some of the key things I wish to achieve are a lowering of my body fat % and an increase in muscle mass. You can also check me out on twitter @paddycunningham or on facebook www.facebook.com/biggestloserpaddy where I post pics, hints & tips and general support and banter. Until next month, be healthy, be fit, but most of all be your true self!